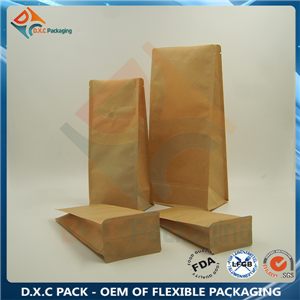 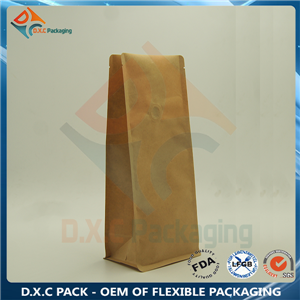 Kraft Paper Flat Bottom Pouch make your product outstanding on the shelf. 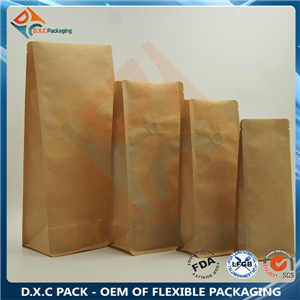 Stable pouch type and environmental paper material catch customers' eyes. 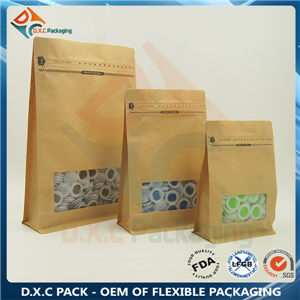 Customized design to be printed on the paper is available. 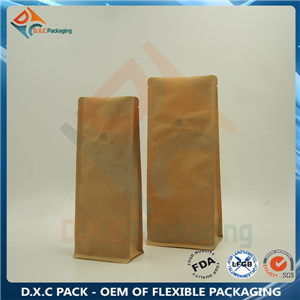 With high quanlity Switzerland valve to make sure your coffee bean or ground coffee in a good situation. 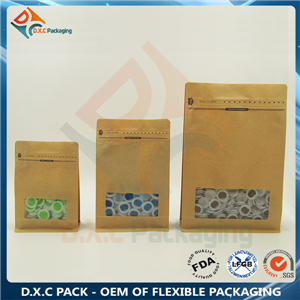 A flat-bottomed, free-standing pouch with additional depth and capacity for product. 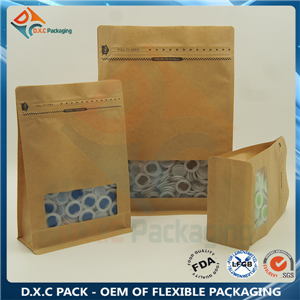 Flat Bottom pouches offer a single fill box option to replace Bag+Box. 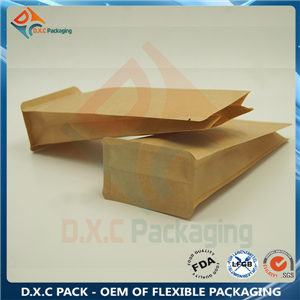 Providing four sides + bottom panels for print branding, box pouches offer cost reductions by eliminating the need for double packaging. 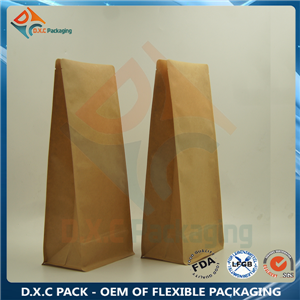 Kraft Paper let your product with a more attractive appearence on the shelf.